The 9th call for applications for the GOSAT research announcement (RA) was closed September 30, 2015, with two research proposals received during the application period. The GOSAT RA selection and evaluation committee (the RA committee) was held on November 20, 2015, and one proposal was adopted for the 9th RA. The GOSAT Project Office issued the 10th RA on December 7, 2015. Its application deadline is the end of March, 2016. All RA researchers are requested to present their research progresses at GOSAT RA PI (principle investigator) annual closed meetings, which have provided RA researchers opportunities to discuss and/or exchange ideas on their researches and to understand the latest status of GOSAT including its sensors and data products. 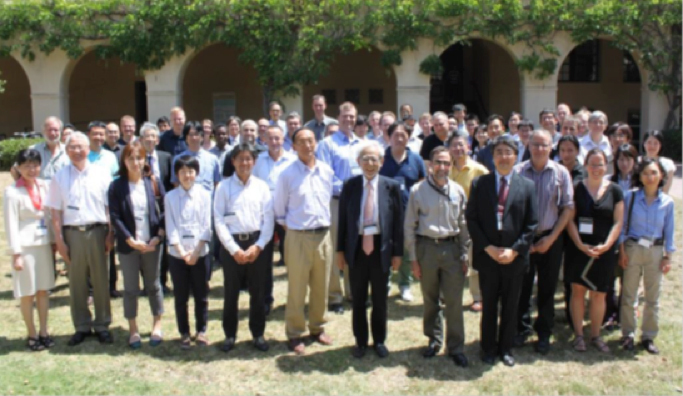 The 7th GOSAT RA PI meeting (the 7th PI meeting) was held on June 15 in advance of the 11th International Workshop on Greenhouse Gas Measurement from Space (IWGGMS-11), which was held on June 16 – 18, 2015 at the same institute, the California Institute of Technology in Pasadena, USA. The past PI meetings were held over a period of three days with group discussions on some research topics organized separately. This 7th PI meeting was, however, scheduled for only one day before the commencement of IWGGMS-11. Those RA researchers, who planned to give presentations on themes related to GOSAT researches at the IWGGMS-11, were requested to introduce their presentations in two minutes at the 7th PI meeting. A total of 58 participants, including 36 PIs or Co-Is and the GOSAT Project staff members, attended the 7th PI meeting. In the morning plenary session, the GOSAT Project Office presented the latest status of project and 19 PIs introduced two-minute summaries of their IWGGMS-11 presentations. In the afternoon, 11 PIs gave their research presentations followed by comprehensive discussions, and the intensely scheduled one-day meeting came to its end. The 8th GOSAT RA PI meeting will be held at the Kyoto University’s Clock Tower Centennial Hall on June 6 – 7, 2016, for one and a half days. 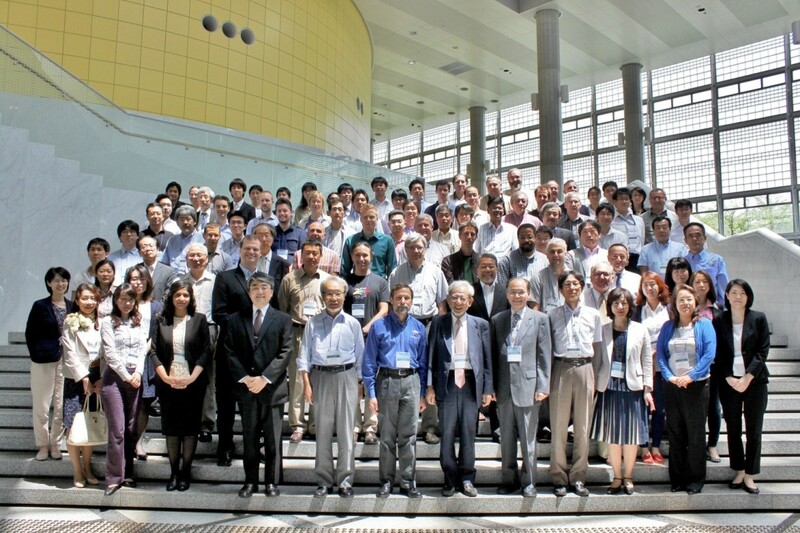 The IWGGMS-12 will start in the afternoon on June 7 at the same hall and end on June 9.
he 6th GOSAT RA PI Meeting was held at EPOCHAL TSUKUBA during June 9(Mon) to 12(Thu) with the participants of 60 PIs and Co-Is, and 66 from involved parties, NIES, JAXA, NASA, and others, counting a total of 126 persons. The meeting started with  plenary session, followed by sessions on  calibration,  validation,  algorithms,  modeling,  data application, and  closing. After session  saw a welcome speech by the NIES President, Dr. Sumi and an opening remarks by Prof. Shimoda of Tokai University (RA committee chair person), there were 4 reports on current status of GOSAT project and outline of TIR L2 algorithms, closed with summary of action items from the previous meeting. Each following session had oral presentations as follows:  two on O2 A-band and TIR band of the FTS,  seven on latest retrieval outcomes of CO2 and CH4 concentrations, three on clouds, one on retrieval of CH4-CO2 ratio, and one on radiative transfer (12 in all),  four by ground-based high resolution FTS, ones by aircraft and lidar, and two by comparison with IASI (8 in all),  one on L4 data product, one on comparison between inverse models, three on assimilation, two on flux estimates, three on regional characteristics of flux (10 in all),  five on regional trends of GHGs, four on sources of high concentration CO2 such as biomass burning, volcanoes, metropolises, and power plants, six on aerosol retrieval including PM2.5, ones on CH4 from paddies, retrieval of trace gases from TIR, chlorophyll fluorescence simulator, vegetation index using near-UV, and retrieval of cloud/aerosol characteristics from CAI (20 in all). At session  JAXA Vice President, Mr. Yamamoto and the Ministry of the Environment, Japan made closing addresses, and the meeting was summarized after confirmation of action items to finish all agendas. 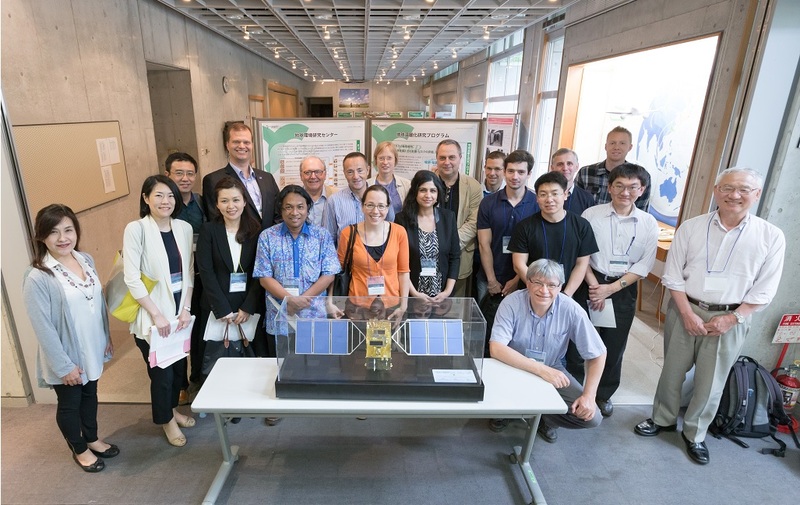 The meeting also had a poster session with 9 presentations, a reception in the second evening, and technical tours to JAXA and NIES in the fourth afternoon. Announcement of "9th International Workshop on Greenhouse Gas Measurements from Space (IWGGMS-9) "
"9th International Workshop on Greenhouse Gas Measurements from Space (IWGGMS-9) " will be held as below. This is an open workshop. For the dedail, please see the following website. The Three Parties (JAXA, NIES, and MOE), who are conducting the GOSAT Project, will hold "The GOSAT WORKSHOP 2012-TOWARDS GOSAT-2 MISSION" on 29 February (Wed) and 1 March (Thu) 2012 in Tokyo. For its topics, registration, and more, please see the following website. Announcement of "1st International Workshop on GOSAT data utilization"
"1st International Workshop on GOSAT data utilization" will be held (admission free without pre-registration). For details, please see here. GOSAT Workshop will be held at "SPIE Remote Sensing 2010". For details, please see the SPIE website. 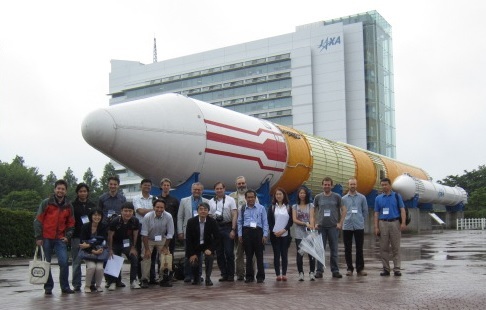 The second Meeting of the GOSAT_RA Principal Investigators (closed) was held on January 28-29, 2010 in Kyoto. Greenhouse gases Observing SATellite (GOSAT) "IBUKI"
Location : Toranomon Pastoral, Shinkan 4F "Primrose"
Software such as Adobe Acrobat Reader is required in order to view PDF files. If you computer does not have this application, please download from the Adobe Systems website.